Yooooo...WHAT?!!!!! That headline is right. 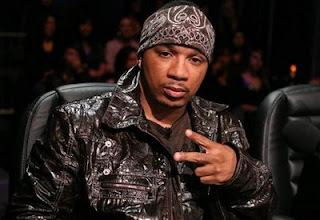 America's Best Dance Crew judge and So You Think You Can Dance choreographer Shane Sparks was arrested early Friday morning on eight counts of child molestation, according to E! Online. Los Angeles Police Department spokesman Bruce Borihanh stated the 40-year-old choreographer was taken into custody by detectives at about 8 a.m. at his North Hollywood home on a felony warrant. "Sparks has been the subject of an ongoing child-molestation investigation," Borihanh said. Shane was booked into Van Nuys jail and is being held for a $590,000 bail. Apparently, the incident took place about a decade ago, and the victim is now coming forward, according to Jane Robison, a spokeswoman for the Los Angeles County District Attorney's Office. "There's one victim, and it occurred in the '90s. I believe it started in '94 and went on for several years," Robison said. "It's an underage girl. She was under 15 when the alleged crimes occurred. She is an adult now and came forward to authorities." Danggggg.....Shane really?!!! Wow....I have no words. Just a crazy situation. I hope that everything works out for him.